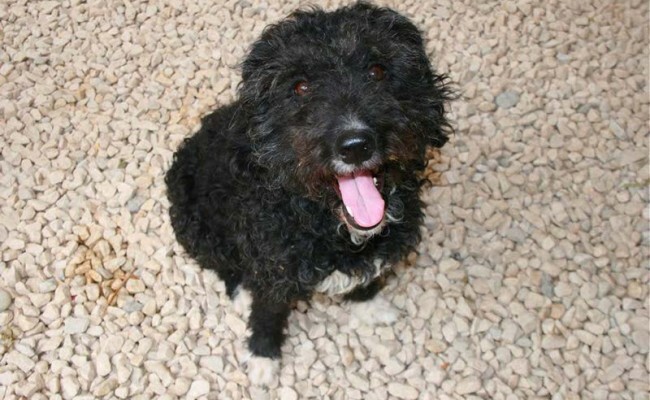 Is a truly wonderful natured boy who just adores everyone. 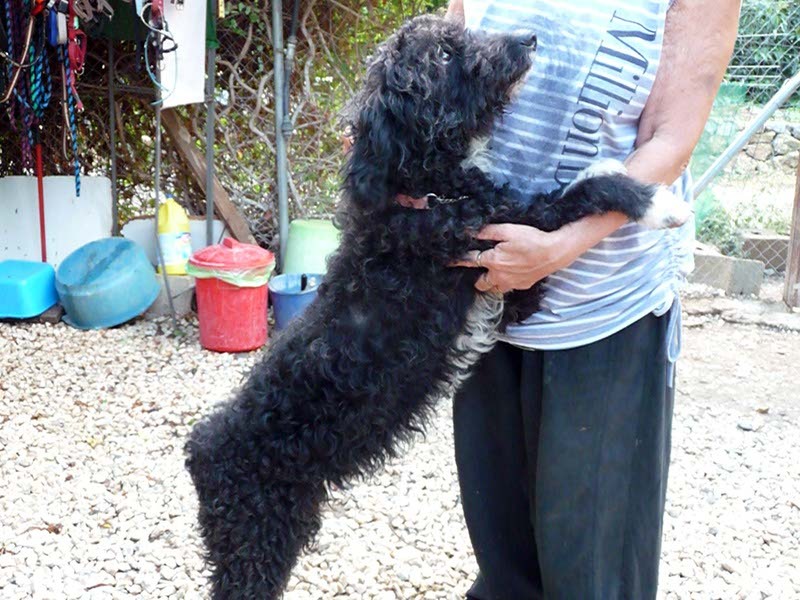 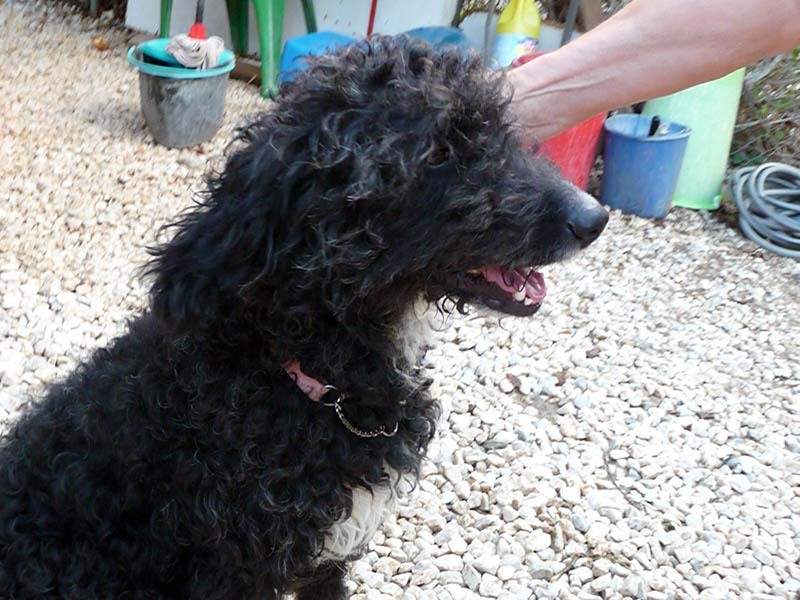 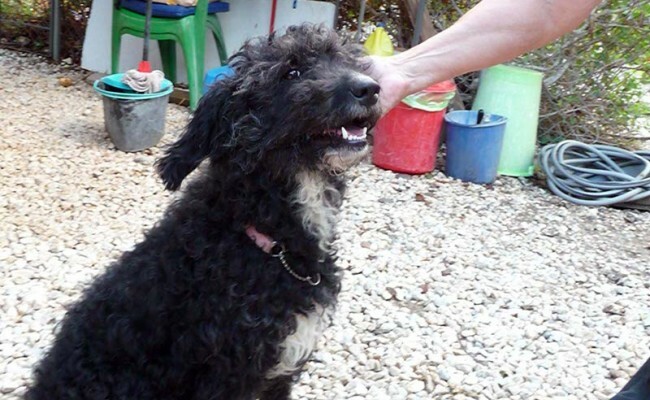 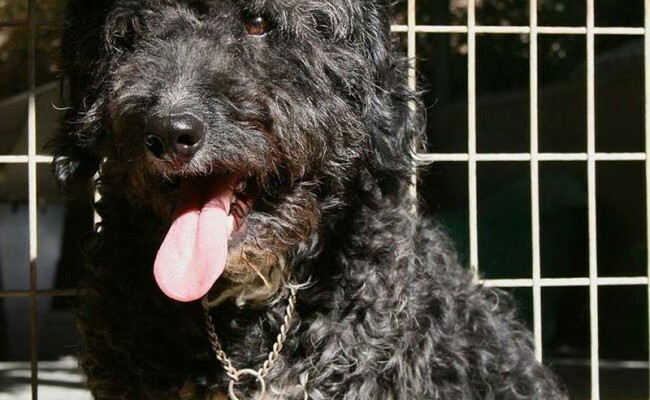 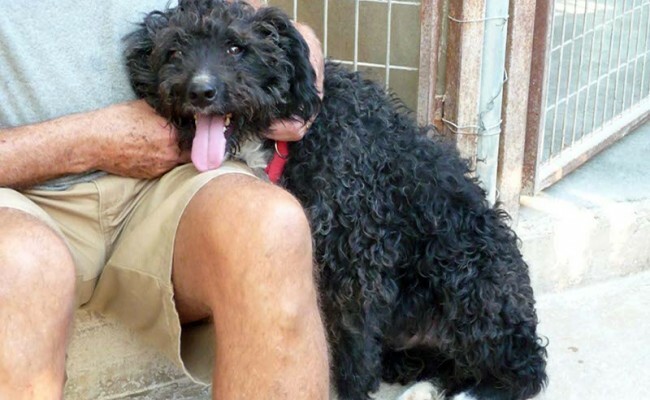 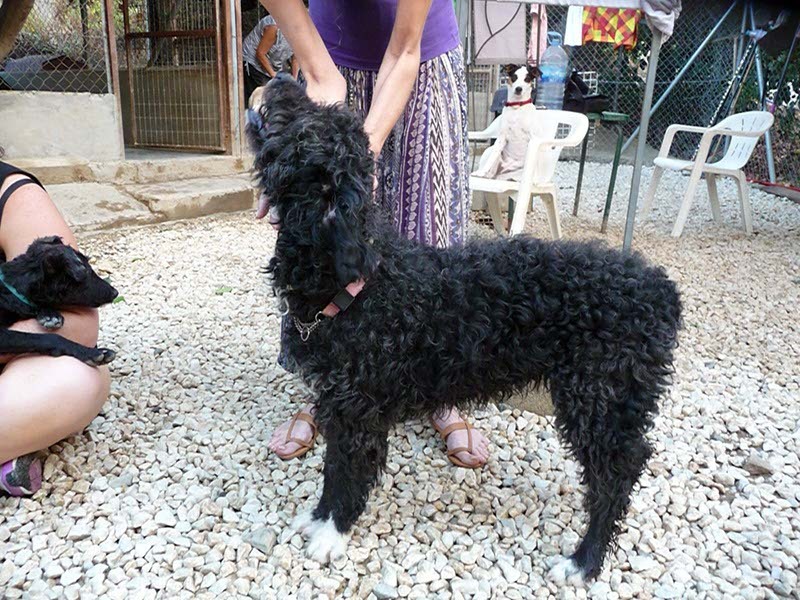 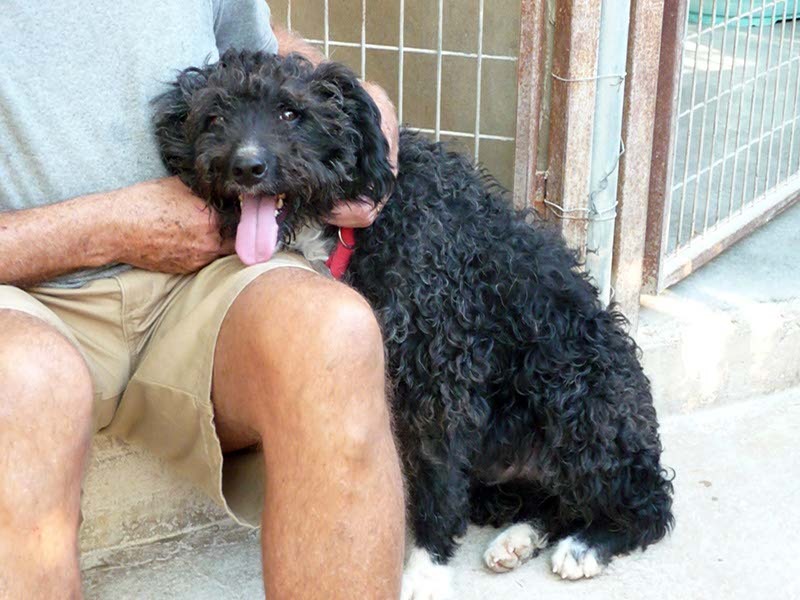 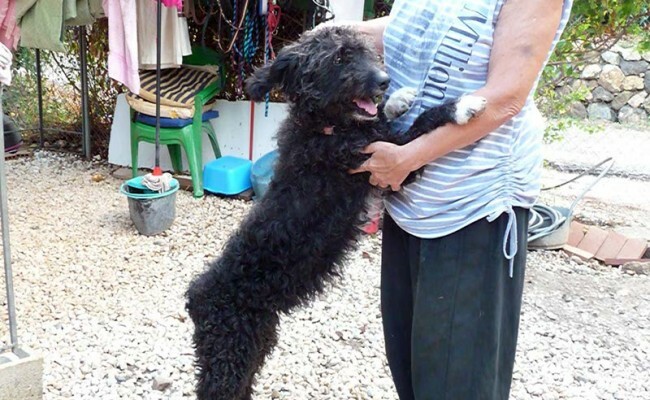 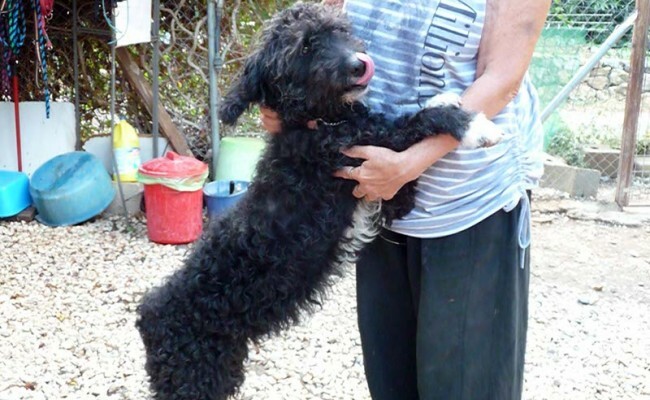 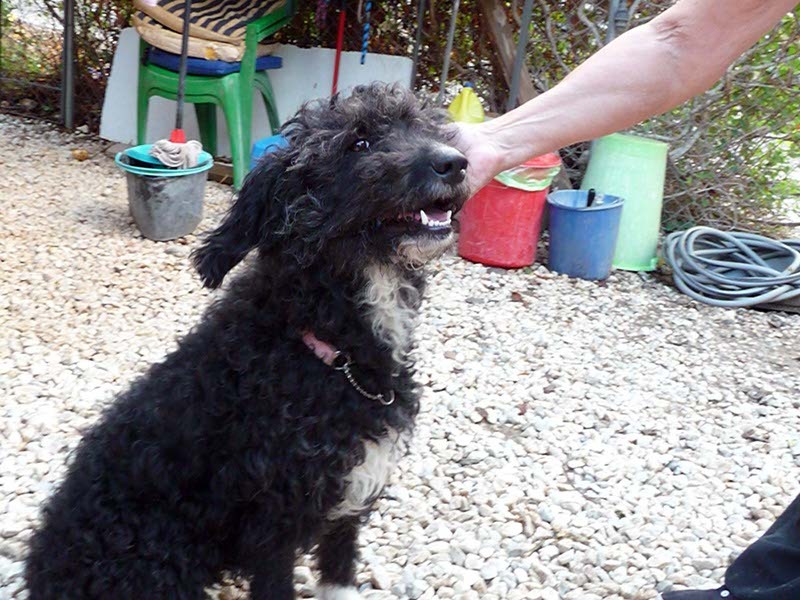 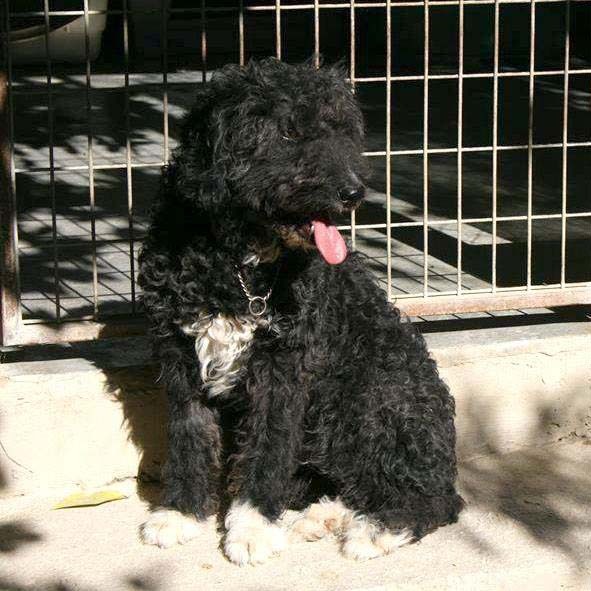 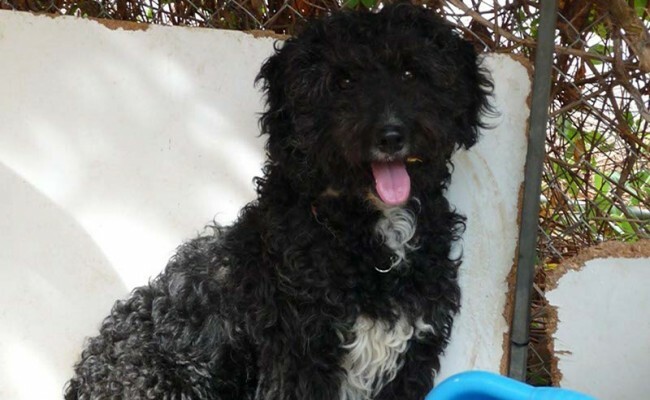 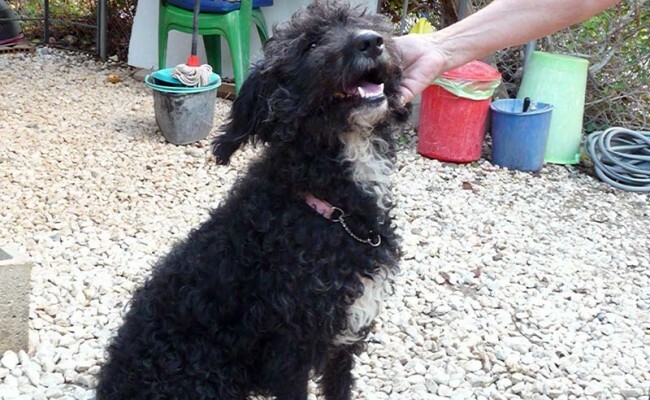 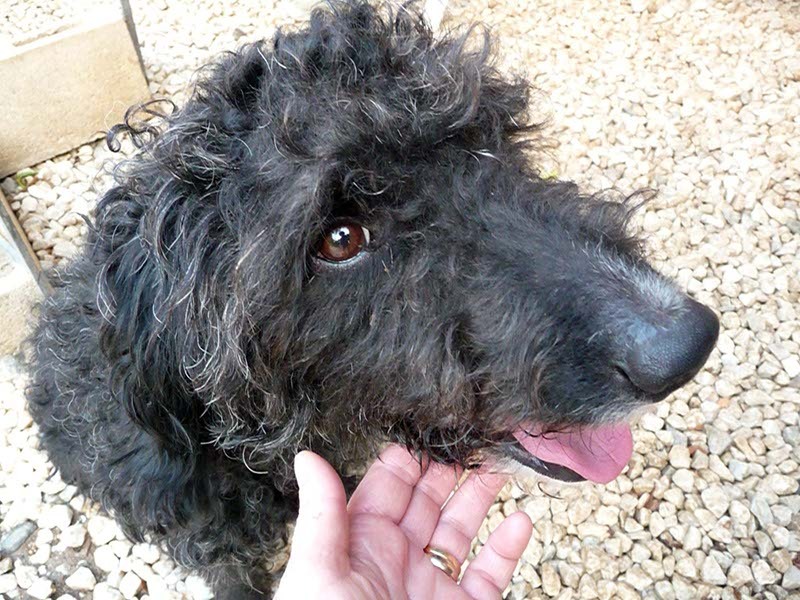 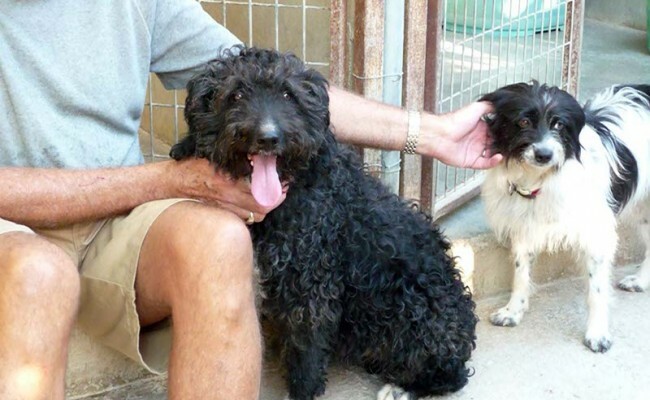 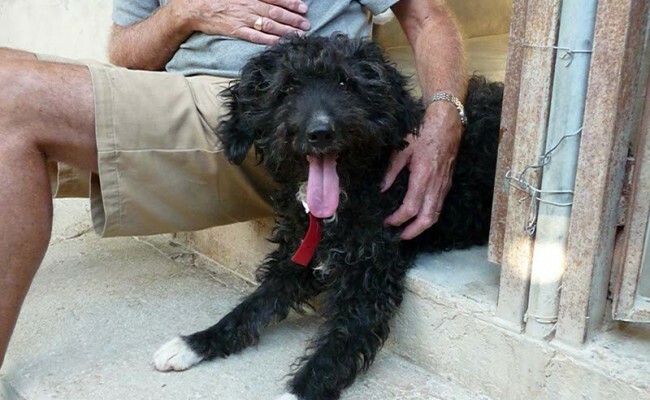 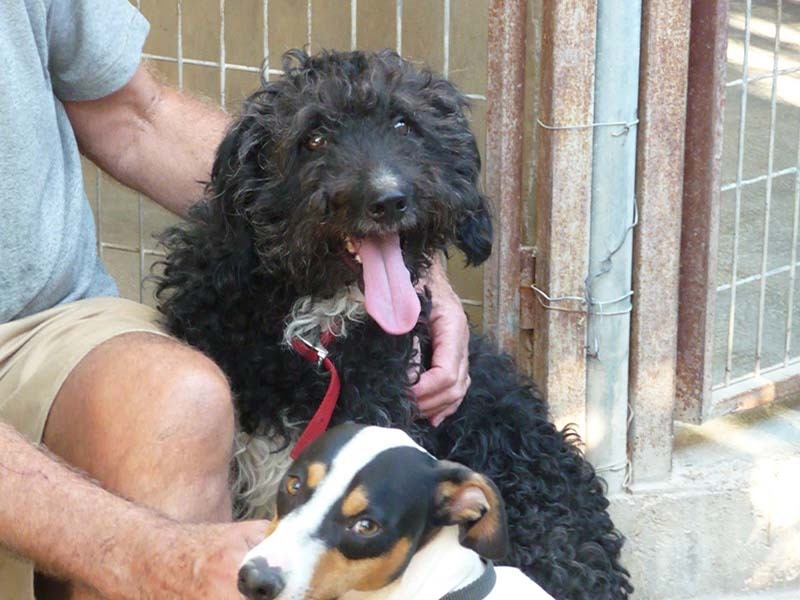 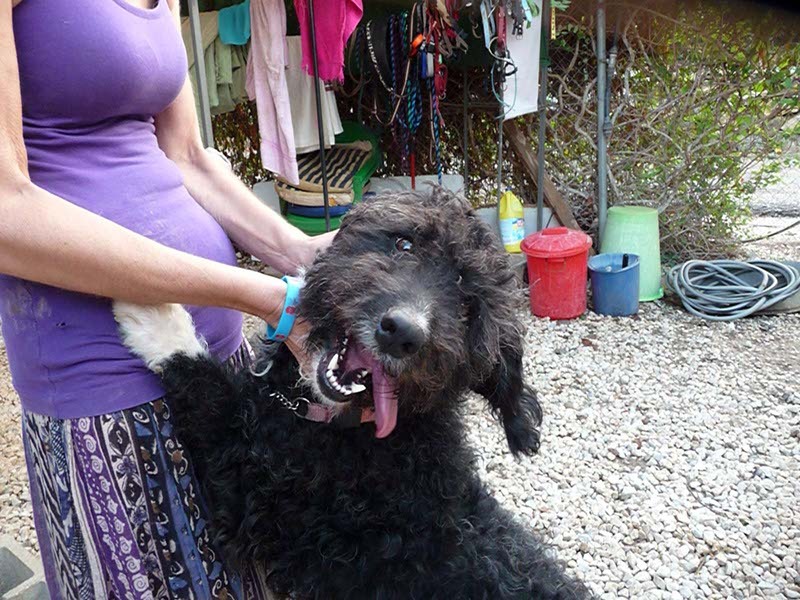 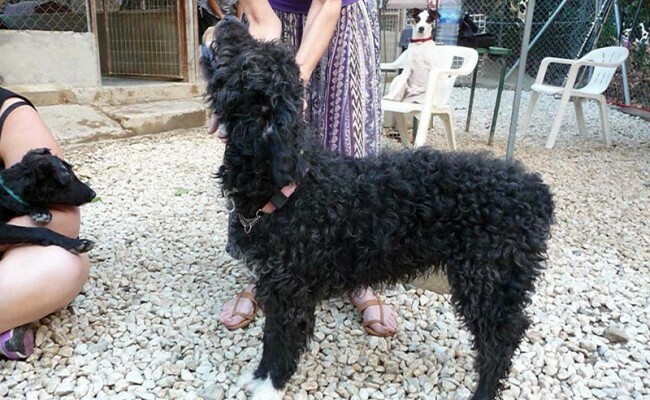 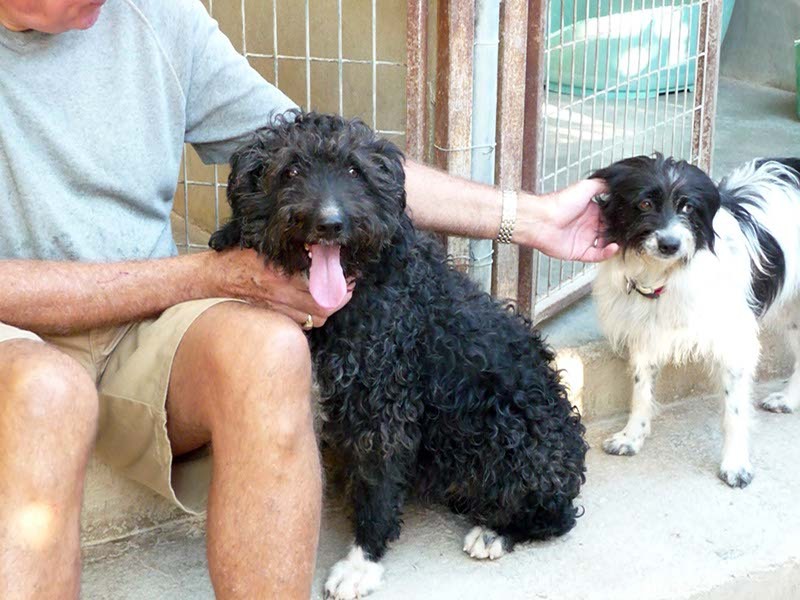 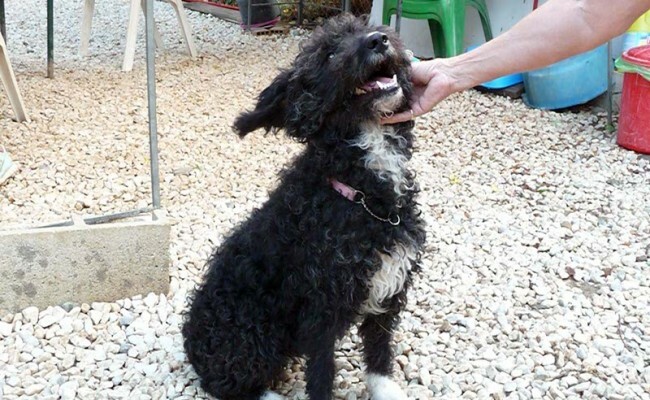 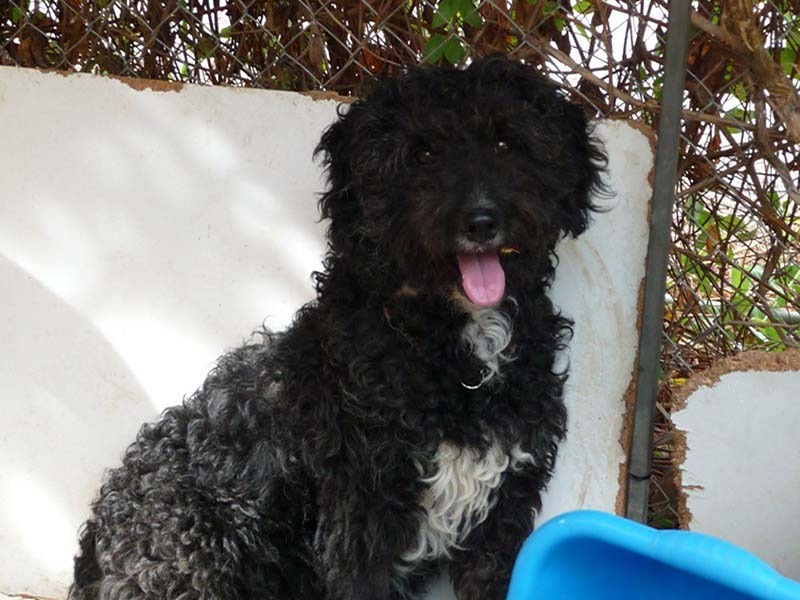 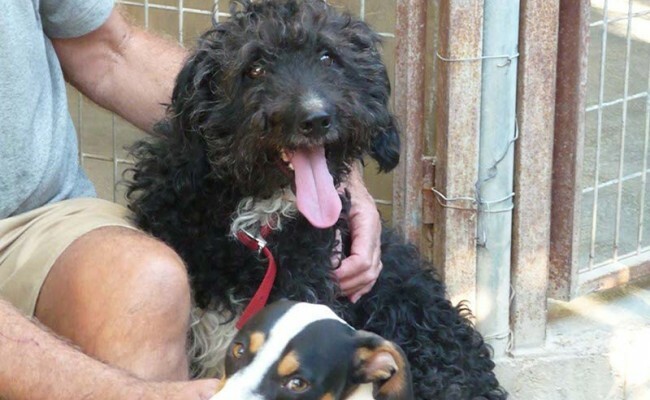 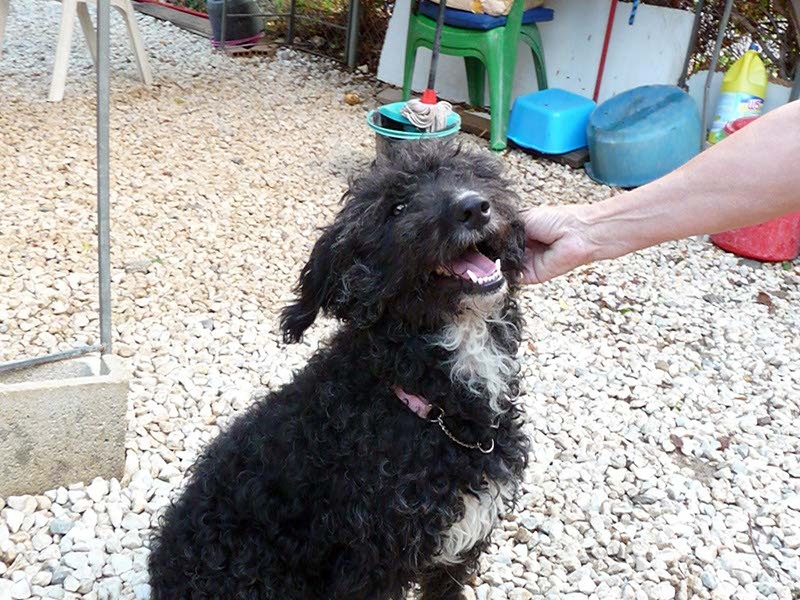 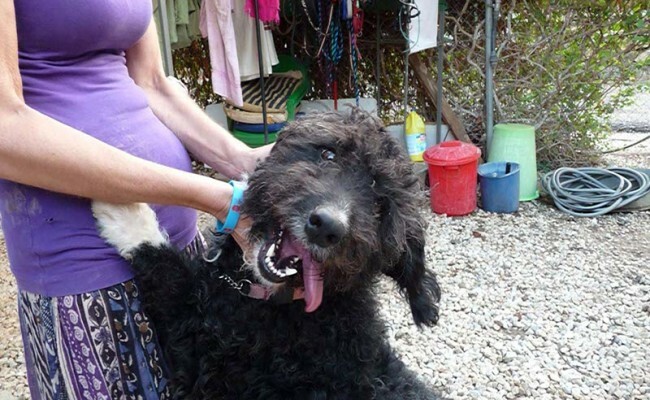 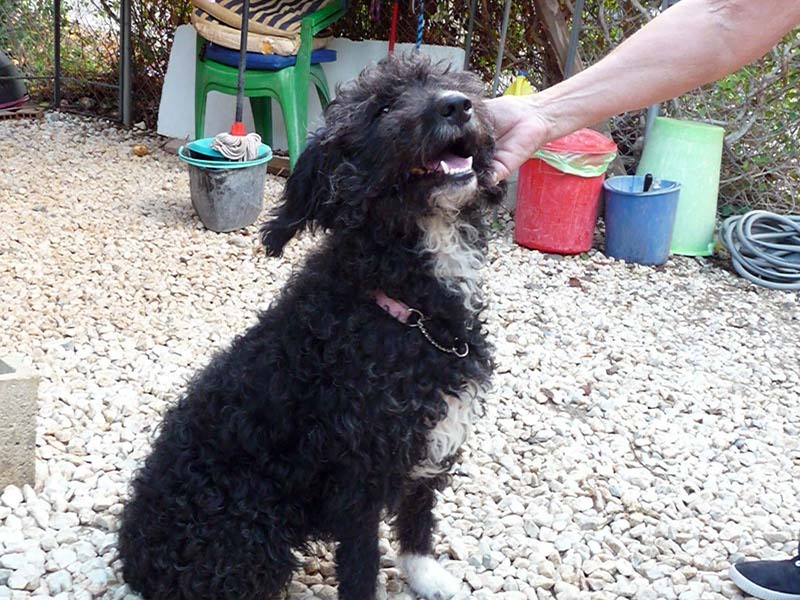 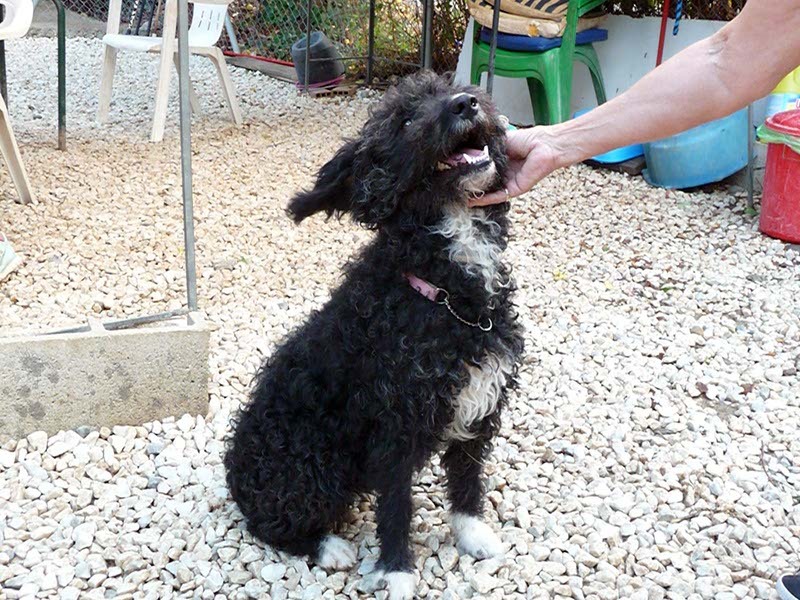 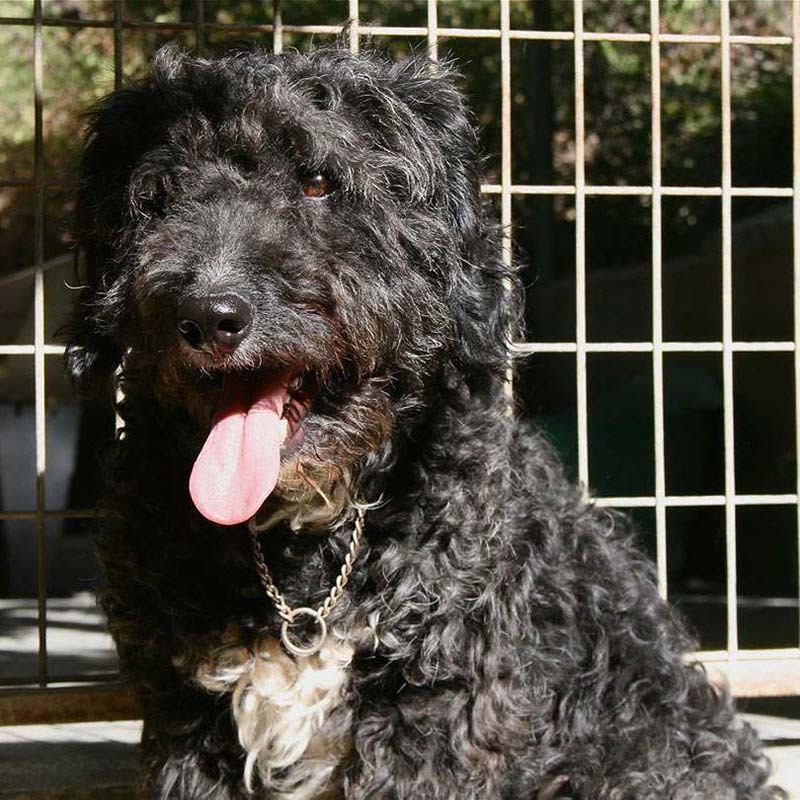 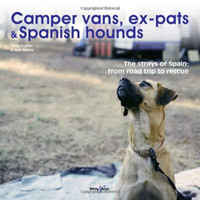 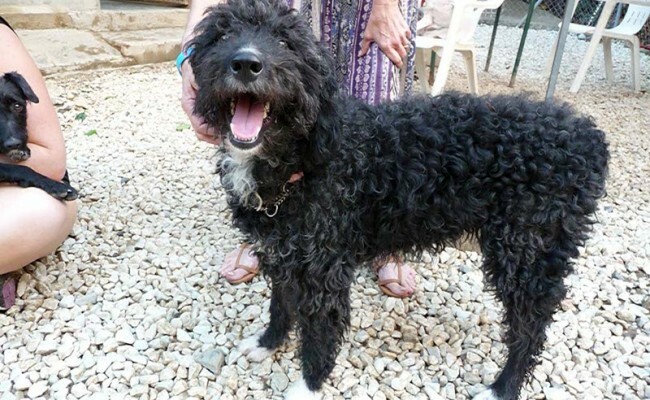 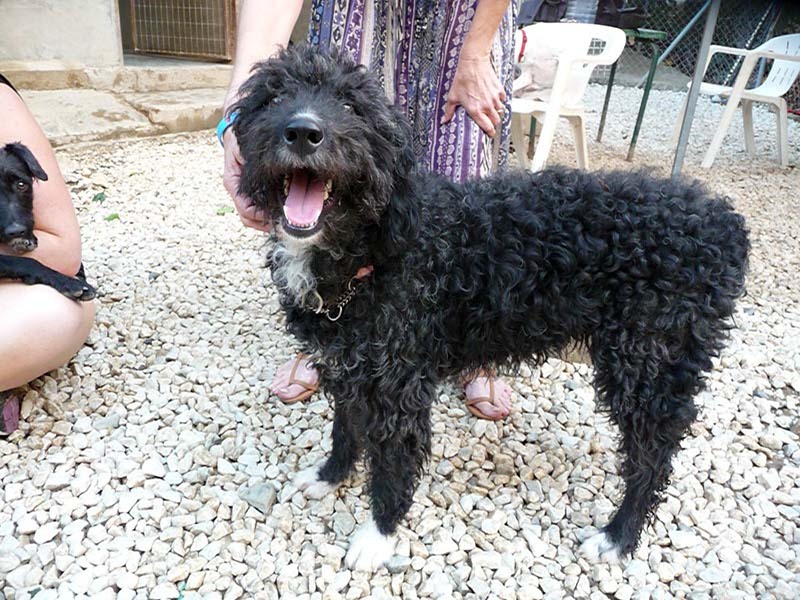 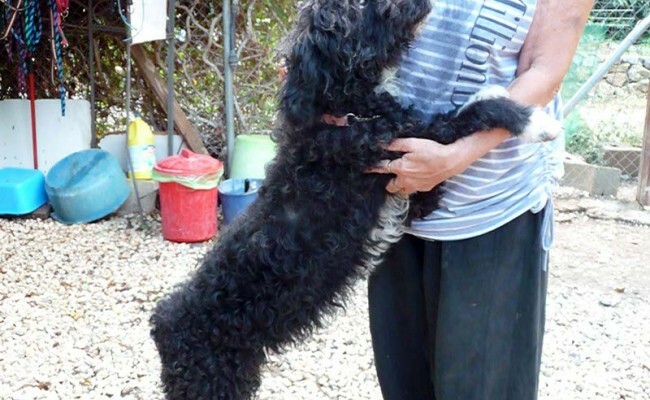 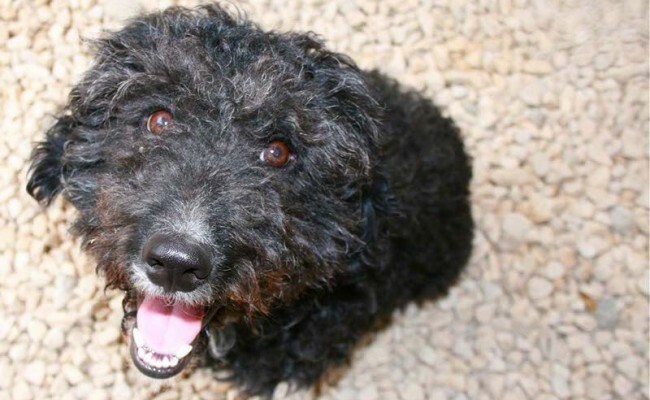 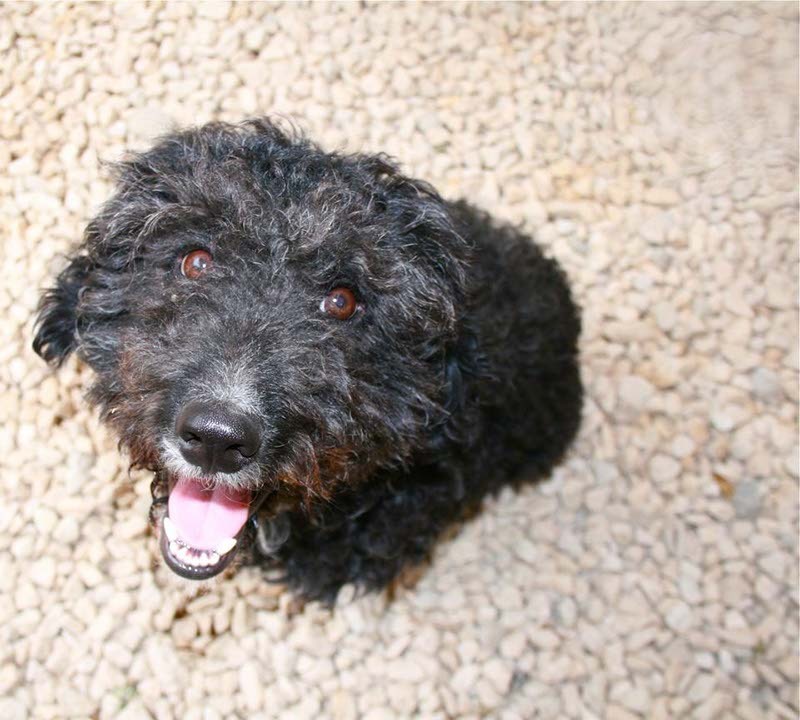 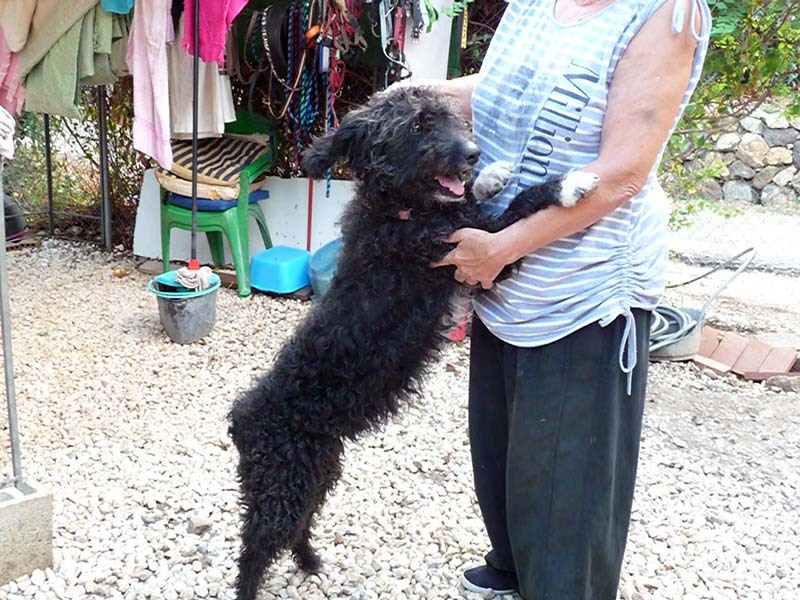 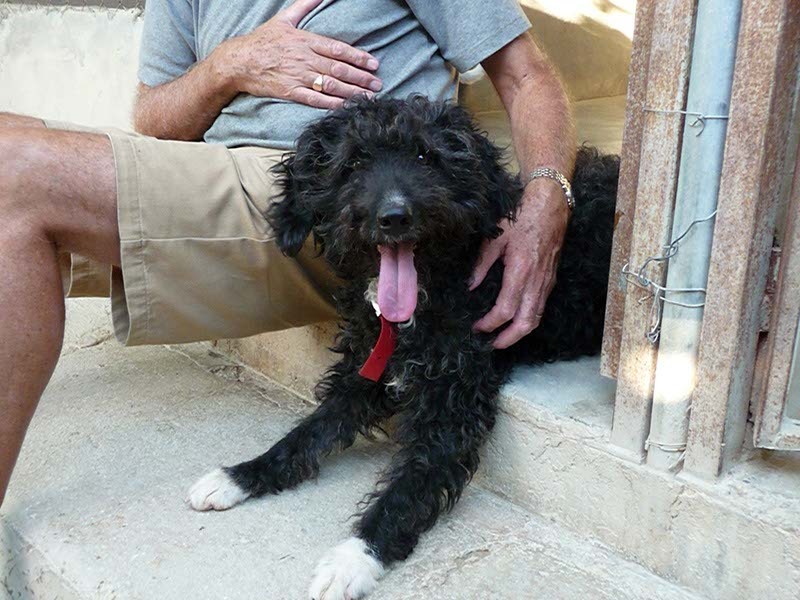 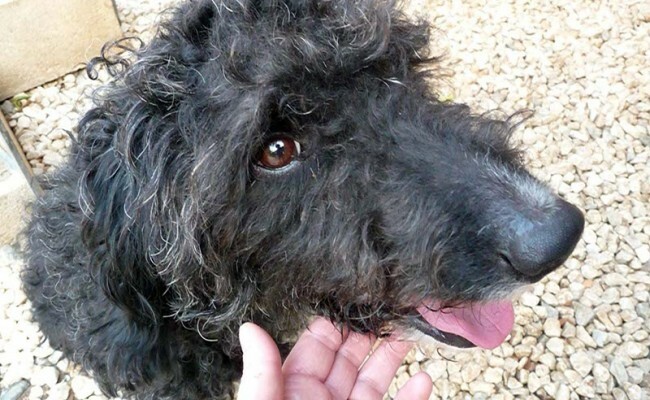 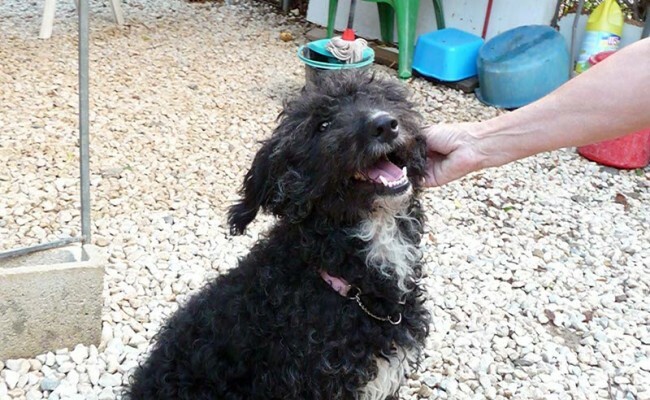 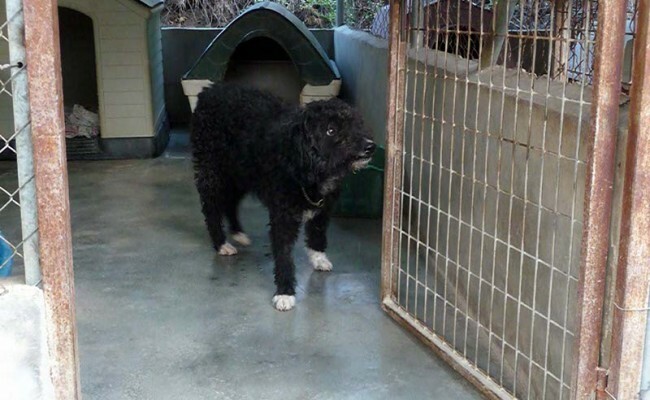 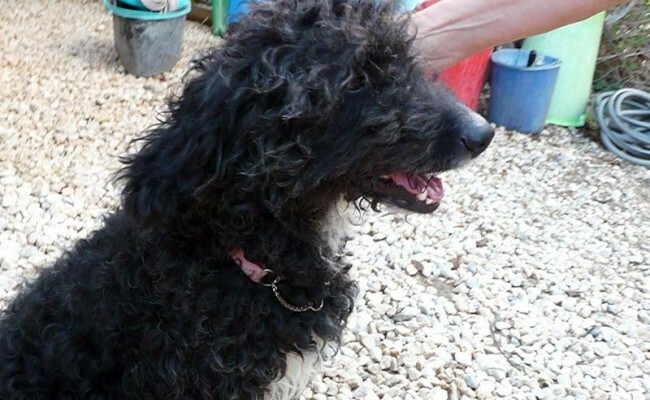 He is a typical Spanish Waterdog – everywhere you go he is right there by your side in the hope you will give him a cuddle. 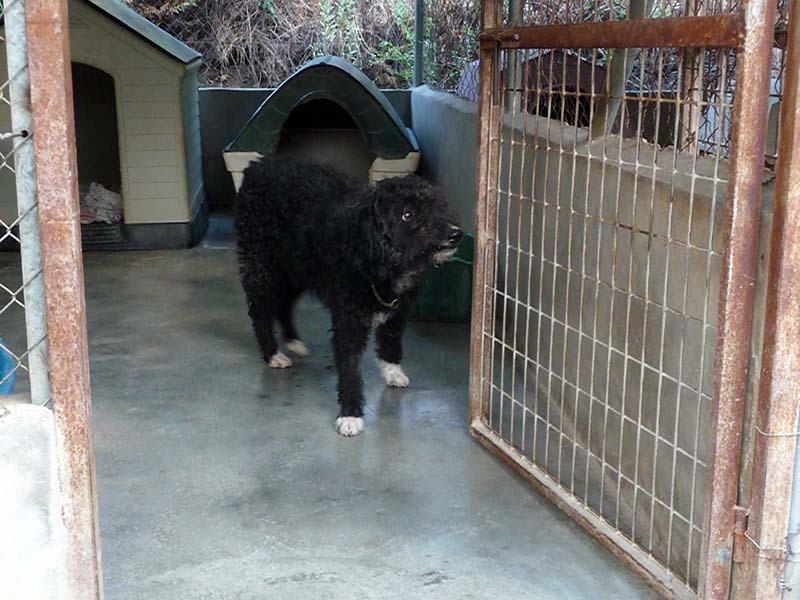 He is good with all the other dogs which he lives with. 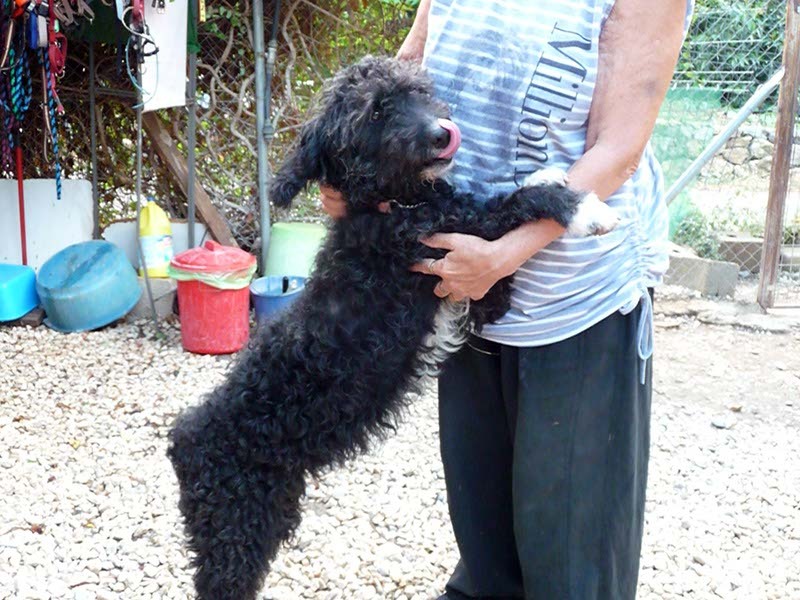 He walks well on the lead and will be able to go offlead once he has settled in and knows his new family. 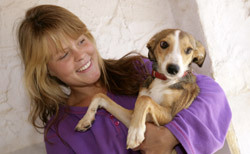 He is very trainable, listens well, has good eye contact and is so willing to please. 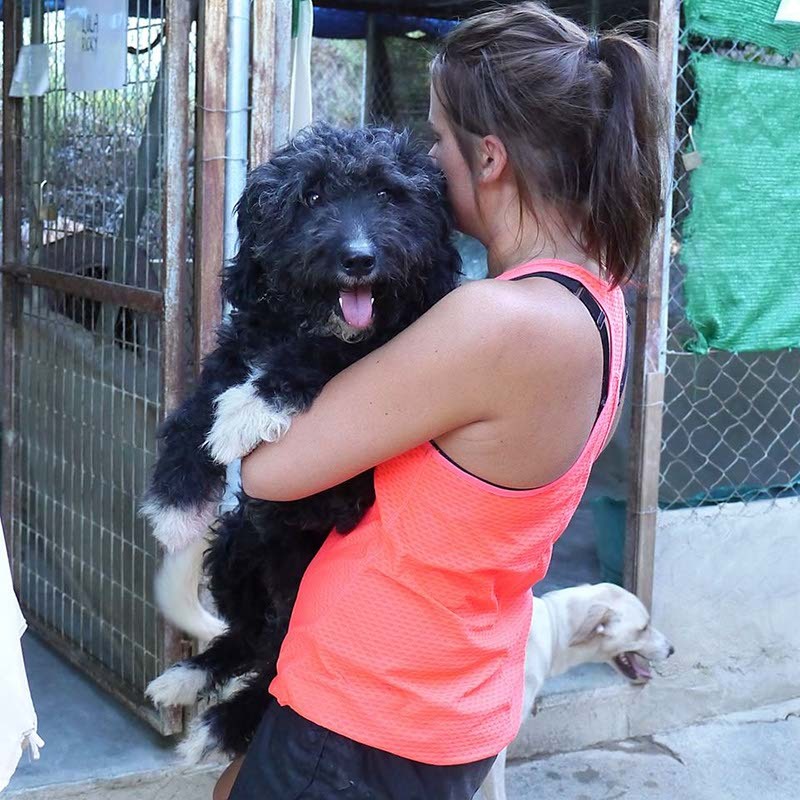 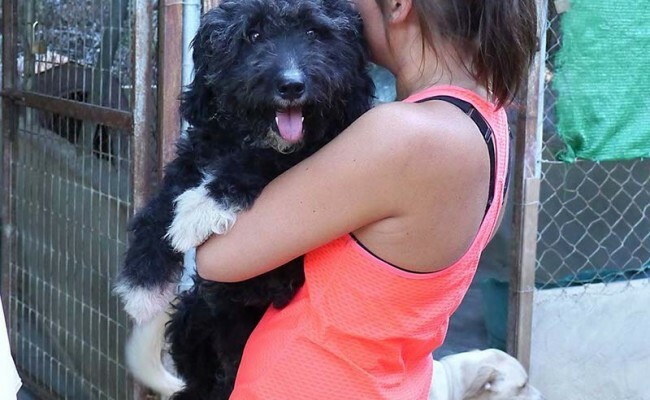 He is easy going & not dominant, so could live with other dogs but would be equally ok as an only dog and we think he would secretly like all the attention to himself. 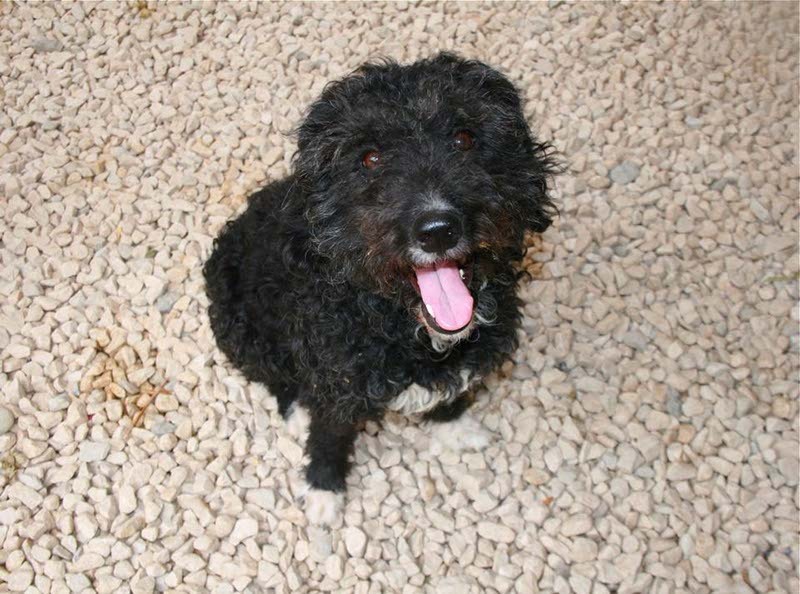 Sweep would like a home where someone would be able to give him all the love and attention he so longs for with lots and lots of cuddles.